Irene Ciuffoletti is a faithful and gentle woman who we had the honor of meeting for her interview with her youngest son, Julius. 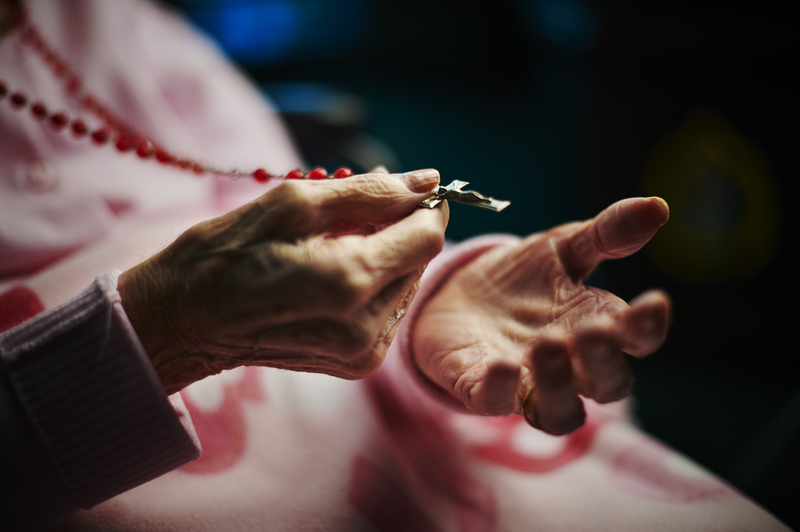 Irene is 112 years old with her birthday falling in January, and she greeted us with a sweet warm smile as she clasped tightly on to her rosary. Julius was especially kind, and he recounted the stories of his life spent growing up with his mother and their close-knit family. Irene’s family immigrated to the United States from Italy in 1912, and Irene met her future husband as she was delivering lunches to her father working at the Alcoa plant, in New Kensington, PA, a town located along the Allegheny River, northeast of the city of Pittsburgh. Emilio Ciuffoletti worked with her father, and the couple got married in 1921. They proceeded to have five children, all boys. Irene became an amazing cook, often in the kitchen with such a large family of boys to nourish. Julius recalls her singing in the kitchen, making fresh pasta and the aromas of sauce permeating the air. 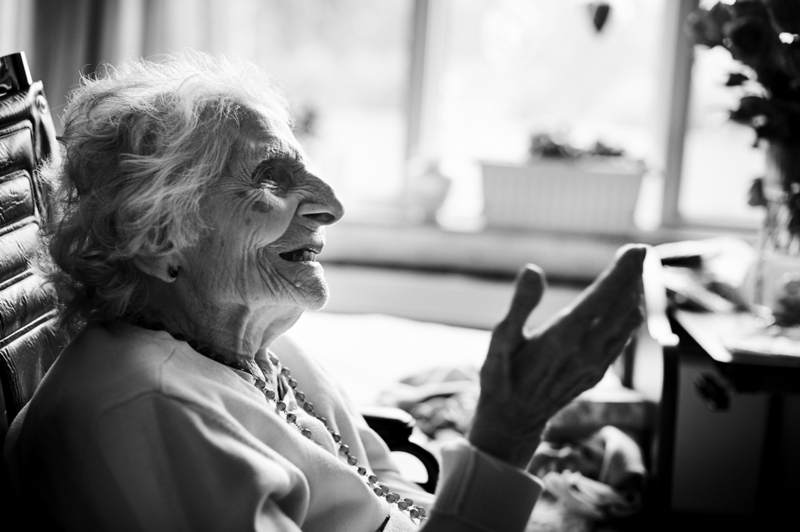 In fact, Irene was busy cooking and making homemade raviolis up until her 105th birthday! Irene contributed her cooking and baking talents to her parish church, Mount Saint Peter, for the many parish festivals and events over the years, always at the service of the church, her family, and her neighbors. Italian immigrants founded Mount Saint Peter parish in New Kensington in the early 1900s, the stunning church built by the Italian congregation, including Irene’s husband, Emilio, and dedicated in July of 1944. She and her husband were actively involved in the church for many years, and beyond donating her culinary talents, Irene was also a member of the Adolorata Society. The church has always been at the center of Irene’s life, and she and Emilio raised a family that was founded in faithfulness and devotion to the Catholic Church. Irene prays the rosary five times a day, and she religiously attends mass as she has done her whole life. In the years following the war, she was very proud and supportive of her son Angelo when he became a priest. 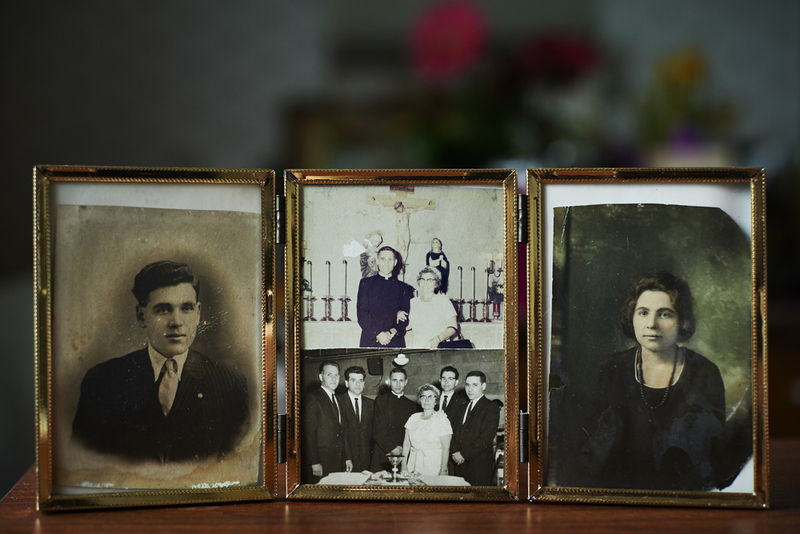 During the war, Julius recalls his mother praying the rosary and lighting a candle in her bedroom daily to protect the three of the five brothers that served overseas. The whole family was overjoyed at their reunion after the war. Emilio died in 1957 at the age of 66, clearly a devastating event and hardship for the large family. Irene was always a hardworking woman, a dedicated mother, and she moved forward courageously, sacrificing for her family. Given Irene’s extraordinary lifespan, she has outlived all of her children except for her youngest, Julius. This is a sorrow that no mother hopes to bear, and surely her faith has strengthened her along every leg of her incredible journey. Julius, her son, is similarly a loving and gentle person who so generously shared his family’s story with us. It is clear that the fruits of Irene’s love have created very good things, including Julius and her very large extended family. Julius has been a devoted son for many years, and he is also a strong member of Mount Saint Peter parish. Irene is a special woman, and it is undoubtedly her positive attitude despite hardship, her strength, her abounding love for her family, and above all else, her steadfast faith and devotion to God that is her legacy.